Hasan’s “originality” came together in lines as, “I would like to say it’s an honor to be here, but that would be an alternative fact.” He also invented a new form of satire: the sermon on The Hill. 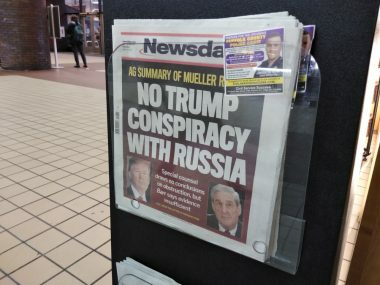 Interspersed with kvetching—“No one wanted to do this so, of course, it landed in the hands of an immigrant, [t]hat’s how it always goes down”—was a string of clichés on the press’ duty to do a better job. For “our democracy,” you know. 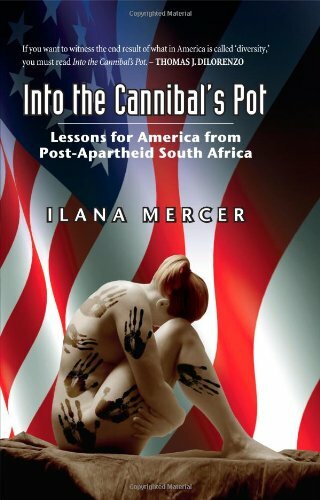 Ilana Mercer is the author of The Trump Revolution: The Donald’s Creative Destruction Deconstructed (June, 2016) & Into the Cannibal’s Pot: Lessons for America From Post-Apartheid South Africa (2011). Follow her on Twitter, Facebook & Gab. Subscribe to Ilana’s YouTube channel. 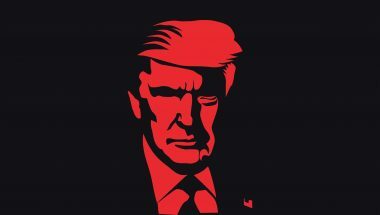 8 Comments to "Thanks, POTUS, for Breaking-Up the Annual Correspondents’ Circle Jerk"
Breaking up the Correspondents’ Dinner is rather small potatoes. Trump needs to keep the campaign promises that his supporters demand. A good read and accurate social criticism. But next year – Trump will be there. One supposes that no more Federal dollars will be spent on “security” for these farces. Exactly. Tired of “at least he makes all the right people mad.” GET IT DONE. The wall on the Mexican “border” either gets built, maintained, and staffed by armed troops with permission to shoot, or not. We either spend the resources and make the commitment to round up and deport every possible illegal alien, or we don’t. Concentrate most on illegal aliens who have committed some crime beyond the crime of illegal entry or overstay, sure, but it had better not stop there. We either stop providing federal-government materials in Spanish and demand a return to our common language and culture, or we don’t. 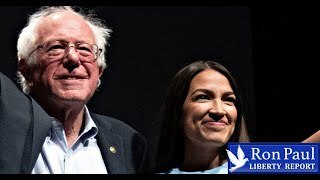 We either put American individuals and families — real people — first, or we don’t, favoring huge corporations, banks, government unions, and even foreign governments and foreign investors first. We either negotiate trade agreements that are better for American workers and American towns, or we don’t. We either work towards a national statute protecting our right to carry firearms to defend ourselves & our families, or we don’t. We either stay out or get out of pointless wars, bankrupting occupations, belligerent sanctions, etc., in the middle east and central asia, or we don’t. So far I am seeing a lot of WE DON’Ts from Trump. 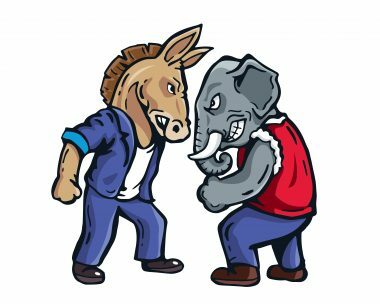 More than can be explained by the mere need to compromise to get things enacted. I like him not going to this dinner, and I hope he doesn’t go to the next three (or seven) such dinners. But substance matters a hell of a lot more than symbolism. I’m glad that the president showed enough of a sense of self-respect and dignity for himself as well as for the office to skip this affair. It’s vulgar and the people are just high-priced trash. It’s good to see them get snubbed. Will Trump have the courage to snub AIPAC? Don’t bet the rent money. . . .